Experience Darjeeling Toy Train Joyride - Ghumakkar - Inspiring travel experiences. Darjeeling is one of the most gorgeous places in India. The mesmerising landscapes and the beautiful mountains are what everyone needs to feel rejuvenated in this busy world. This amazing experience can be enhanced by travelling within the town via Darjeeling Toy Train. Imagine, passing through steep lush green mountains and the impassable curves in a small mini coach attached to a steam engine. As the name suggests, this train seems small but is surely a remarkable example of engineering creativity of the Indian Railways. Diesel engines installed in the latest trains are powerful and make them run faster. However, this joyride is operated by original steam engines. This is why it runs so slowly that you may see local kids jumping in and out of the train on their way to school. Some other trains of Darjeeling Himalayan Railways (DHR) also use such engines. All in all, it’s going to be a fun experience which also takes you places. Darjeeling Toy Train offers optional transportation through a private train excursion. It offers the facility to pick up and drop a passenger from their home or hotel within any locality of Darjeeling. Since the train provides optional transportation service, there are two options for booking a place on the train. You can either book a train ticket with transportation or just a train ticket for yourself. Visit an online Indian Railways app for train enquiry and book tickets on time. 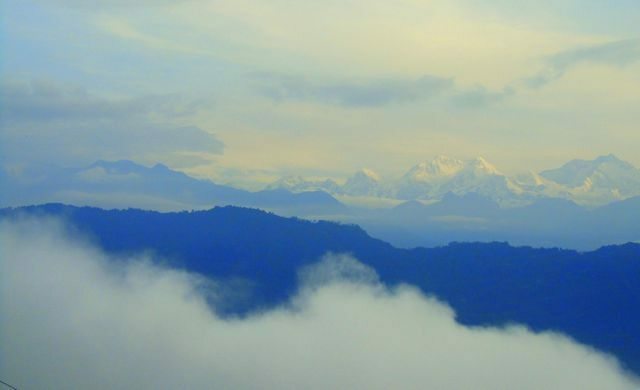 In this 2-hour short trip within Darjeeling, you will be embracing the beauty you’ve never imagined. 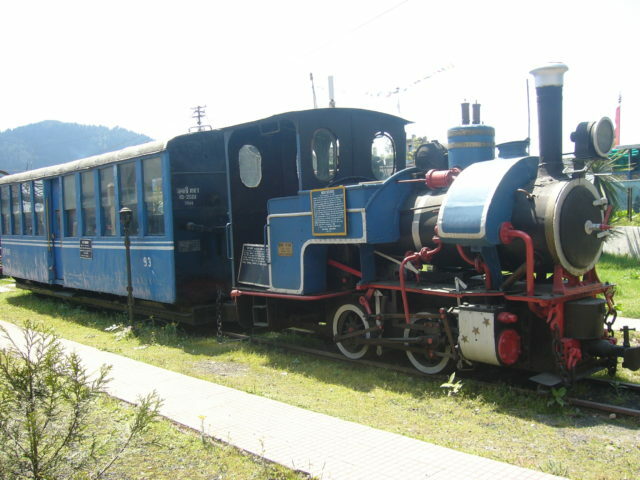 Darjeeling Toy Train is a part of DHR which has been a popular choice of travellers in India. What is so special about this train? Bestowed with the UNESCO World Heritage status, it has been running since the 1880s. Even after the launch of other trains, the toy train is the most preferred train in Darjeeling. Reason being, it offers vistas of amazing and breathtaking landscapes. It runs on the narrow paths of Darjeeling and also connects to different parts, taking you through lower plains and hills. One of the major attractions of West Bengal, Darjeeling is an exotic hill station filled with the captivating charm of nature. There’s so much to explore there from hilly slopes covered with tea plantations to rich colonial architecture. Witness all these amazing views by travelling on the Darjeeling Toy Train in the most convenient and fun way. Hop on this small-coach train for a memorable time. A short and crispy detailing of the Darjeeling’s historic toy train ride. At about 1 p.m. Tara took his first halt at Teesta Valley. Very near to this place is the point of White Water River Rafting on Teesta. The area is dotted with a few small eateries run by the local villagers. Tara took us to one named Tashi Restaurant. All the eateries here, as this one, are very basic. I am a bit apprehensive about eating at small joints as the hygiene factor is low, but had no other alternative here. However, the good food coupled with the beautiful Teesta flowing beside the eatery made me set all thoughts aside for a few moments. Had it been some other place, such a beautiful locale would surely have been commercialized and turned into a Mc Donald’s or KFC with the wealth again going to the rich hands. Our car moved on towards Jorethang. Tara was true. The stretch from Malli to Jorethang was in really poor condition. Although it was for wider and better roads in coming days, the ride was extremely stressful for us. Clouds of dust engulfed us at short intervals. We are much more impatient than our counterparts residing at higher altitudes.